Although born in India, Noshir has been living in New York since 1995, and this exposure to Indian classical music and Bollywood has obviously fused with his love of jazz to create something that is almost timeless and seamless as it flows like a river. Here we have a sextet performing as a solid unit, each allowing the others to shine when they need to and providing the supporting role, and also more than happy to take the lead when the time is right. Mody is an incredibly fluid guitarist, capable of deft runs when he needs to or sitting there providing the direction for others to follow. There are six tracks on the album, all originals, with just one (slightly) less than ten minutes in length, allowing the musicians to all find the groove and follow and drive when the need is right. Often the band is playing as a quartet, with Mike Mullan (saxophones) and Benjamin Hankle (trumpet, flugelhorn) coming in to add their touches when the time is right, but everyone understands that at times the biggest impact is for them not to be playing at all. 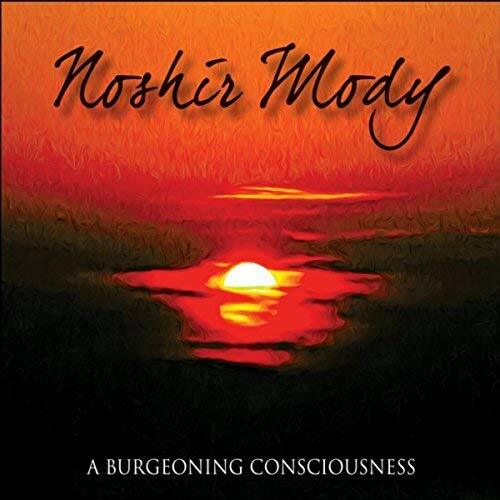 There is a delicacy, and more than a hint of Latin in proceedings, with Mody, obviously influenced by early Carlos Santana and Al Di Meola, but throughout it is the innate sense of melody that really makes this such an interesting album to fall into it. When playing this I often find myself closing my eyes and just getting into the feel, the rhythm, and soul of the album, as it truly is a beautiful piece of work. Definitely for those how to enjoy their jazz to have soul and majesty, without things being thrust into your face.